How to round float to bigger integer? If the number exceeds by a decimal, then rounded off to +1. Any idea? 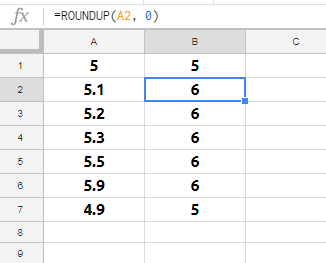 Rounds a number to a certain number of decimal places, always rounding up to the next valid increment. 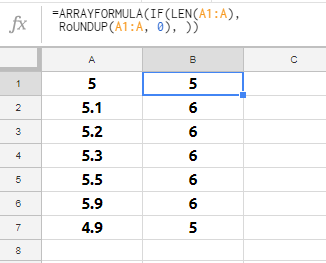 Conditional Formula using two string values to generate an integer?